Looks like Make Baseball Fun Again 2016 is off to a fiery start. Bryce Harper has been leading this campaign all season, piggybacking off Jose Bautista's notorious bat flip from last postseason that started the generational gap conversation. Yesterday, Bautista found himself in the spotlight once again versus the same team his go-ahead homer eliminated last year. The Toronto Blue Jays were visiting the Texas Rangers for the last time this season, so the Rangers decided to take the coward's way out (or so it would seem.) During Bautista's last at-bat in the top of the eighth inning, Texas pitcher Matt Bush decided it was time for a little bat flip revenge and drilled him. Fair enough, right? 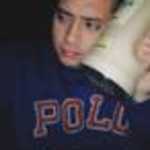 After a some staredowns, Jose took first base and everything was cool until he tried to break up a double-play. His slide was late, but not bush league by any stretch of the imagination. It is technically illegal this year thanks to the Chase Utely rule, but attempting to break up a double-play the way he did was textbook up until 2016. They teach you this in little league. 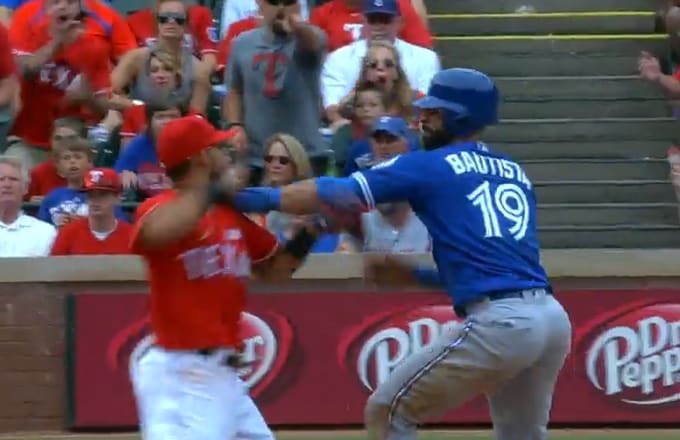 Rangers second baseman Rougned Odor didn't take too kindly to Bautista's effort and immediately stepped to him, said some words, tried to take Bautista's head off with a right cross to the jaw. Predictably, the benches cleared and baseball is becoming fun again; all because of Joey Batts. Check out our frame-by-frame breakdown of Sunday's brawl.